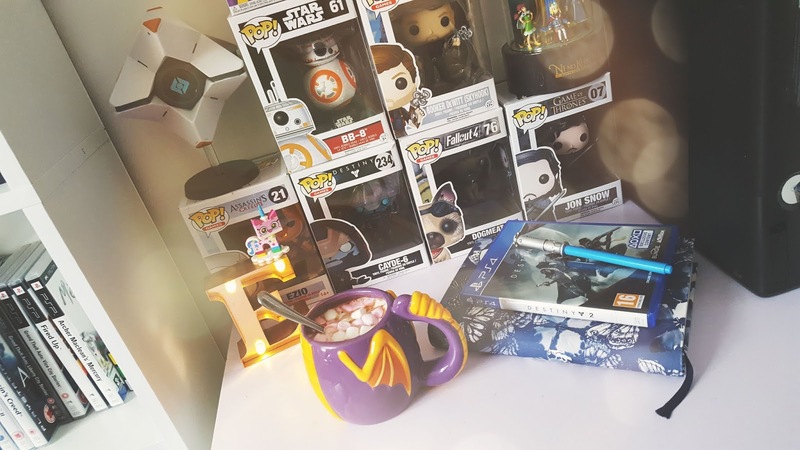 I ended up canceling my Pre-Order for Fallout 76 due to the Christmas coming up and the money for that game will help towards Christmas but since I enjoyed playing the Beta I mentioned it to James and I think he will be getting me the game. 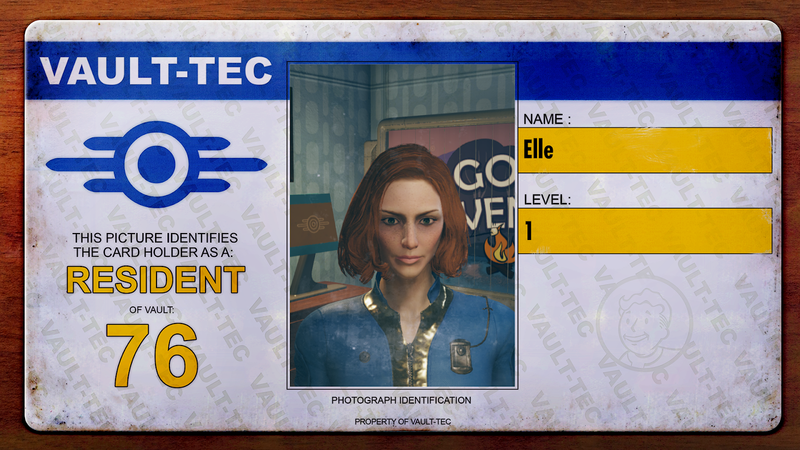 I'm a really nervous online game player, I get very anxious in case I come across any abuse and tend to turn my mic off, however, I felt differently once I left Vault 76 because I could see that there weren't that many players on the same server as me and only one of them was near me but chose not to interact with me which I was fine with. 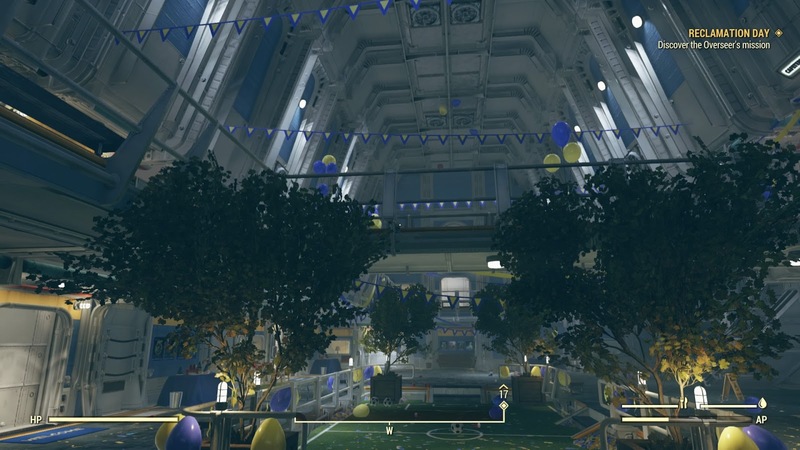 Whilst inside Vault 76 it felt refreshing seeing all the decorations out and knowing that so many of us had successfully lived inside the vault for so long and become a tight-knit community but at the same time it's sad that it opened and came to an end. 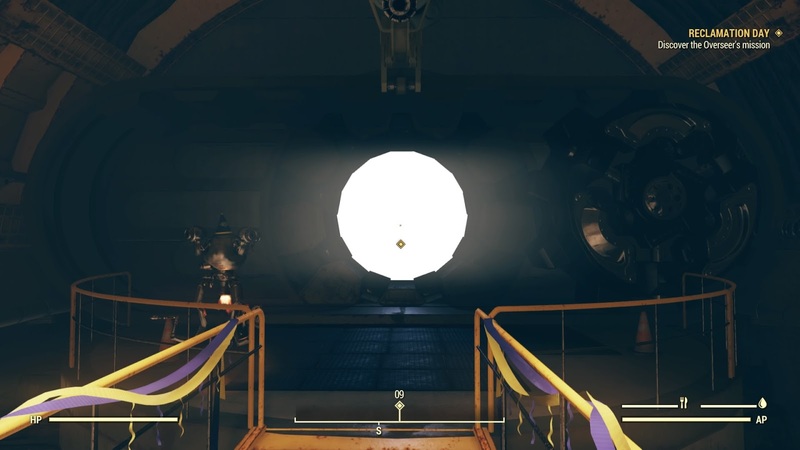 The vault is your typical vault except in brilliant working order with a lot of AI's to give you all you need on the outside world in order to survive but there are no other NPC's which I already knew about, it just makes the game feel a little more empty even though you can see other players on the map which is a bit cheeky of the game, giving away your position which makes it easier for others to find you, I would understand if it was just for the team you're on but it's not and yes I'm aware that plenty of other games do this I just thought it would make things a little harder if you had no inkling that someone was near until it was too late. 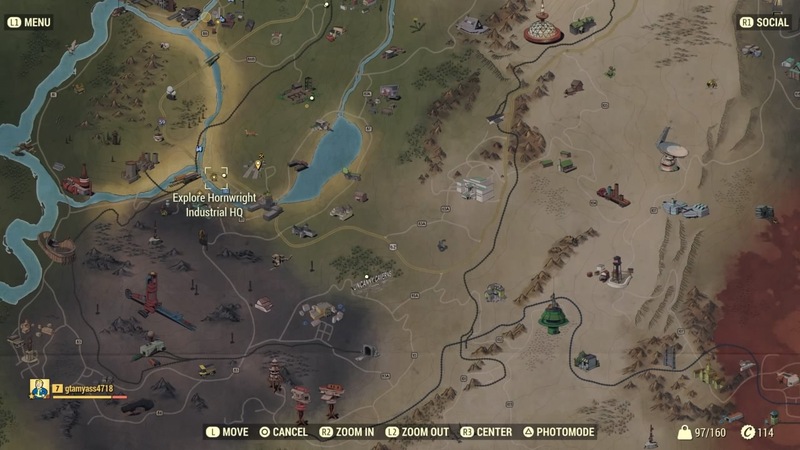 Whilst walking around in the forest I was worried I would die before making it to the overseer but luckily that wasn't the case, I was able to collect lots of misc, ammo, food and plants along the way as well but they don't tend to last too long once you come across enemies that are stronger than you. 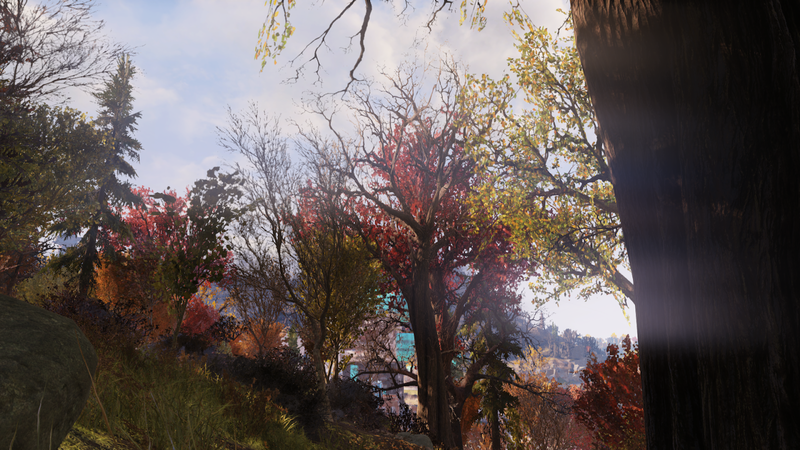 I enjoyed taking in my surroundings, some parts of the game are visually stunning but I can't say I notice much difference between Fallout 76 and Fallout 4 which isn't a bad thing in the slightest as I love Fallout 4. 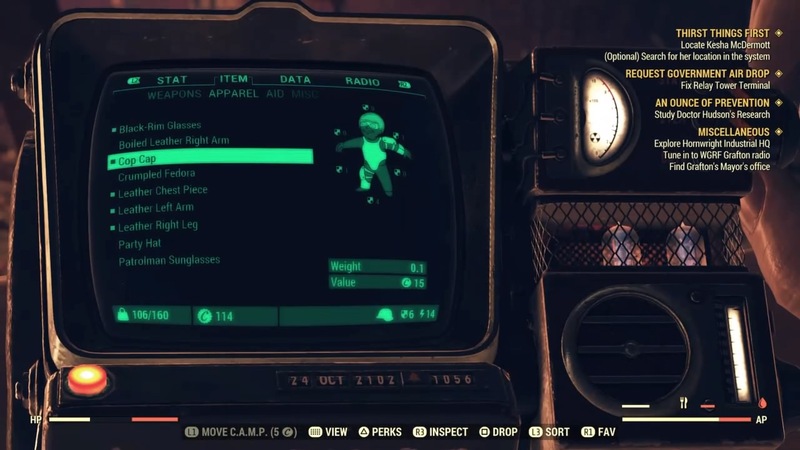 I came across mostly mutants, they have dominated a lot more of the wasteland then in Fallout 4 and they're not too hard to kill, whereas the Grafton monster is a pain to kill, they're pretty strong yet they can't even see you because they have no head! 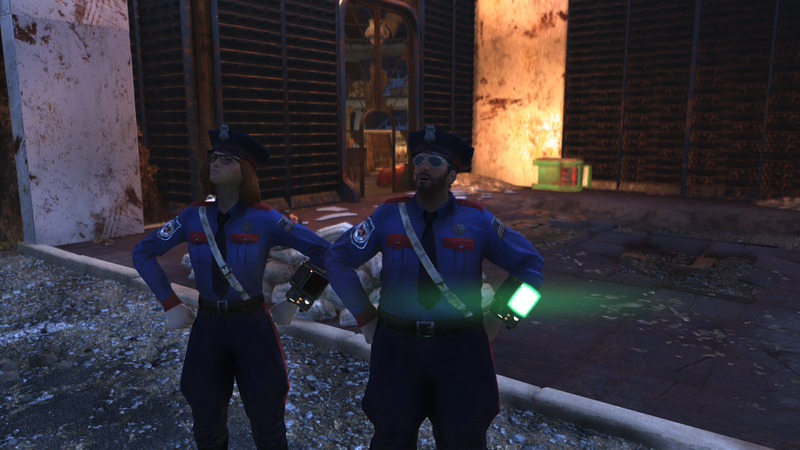 I soon found out how valuable working together in this game was, making friends is a great way to find power armour and kill monsters together, the guy I became friends with already knew his way around the airport and wanted to see if there was another power armour there like the one he found for me, unfortunately there wasn't but as we looked around more he ended up finding 2 more power armours one of which become mine. Before I met up with this guy I admittedly did try and kill a few players to see what happened but they left and didn't take any notice of me so when I came across more people I was a bit paranoid they would do to me what I did to others but it turned out everyone was pretty laid back and just wanted to explore and help one another out. 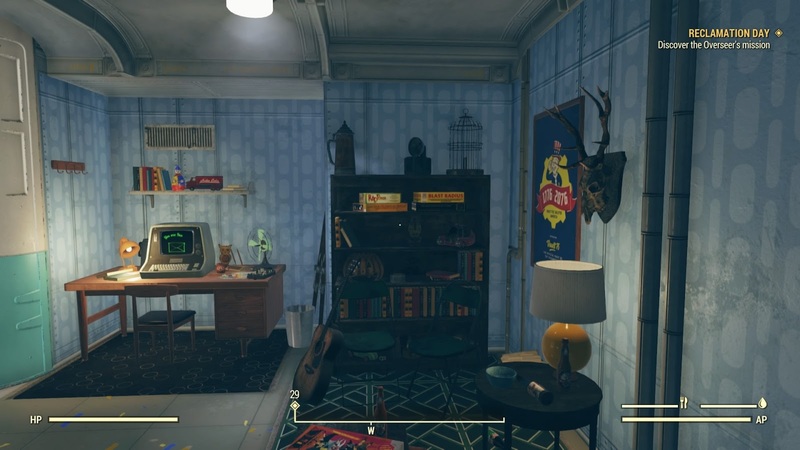 I've had a few people say to me what's the point in paying the game when all you do is try to kill each other but let's get real here a lot of games are like that and Fallout 76 isn't just about killing, there are quests that you're given to complete which help you level up, add perks and find supplies, I really enjoyed doing them even if some of them through me into an area that was covered in radiation but the quests were simple enough to complete that the radiation didn't end up killing me. You're able to fast travel which something I hoped we would be able to do because there is no way I would survive walking to and from my destinations for quests especially when some areas are built up with a vast amount of monsters. As I just said there are quests but there is also a story to go with the game which is basically the quests but I'm hoping that once you finish these in the game you will get some kind of team quests to make the game a little less about just killing other players. 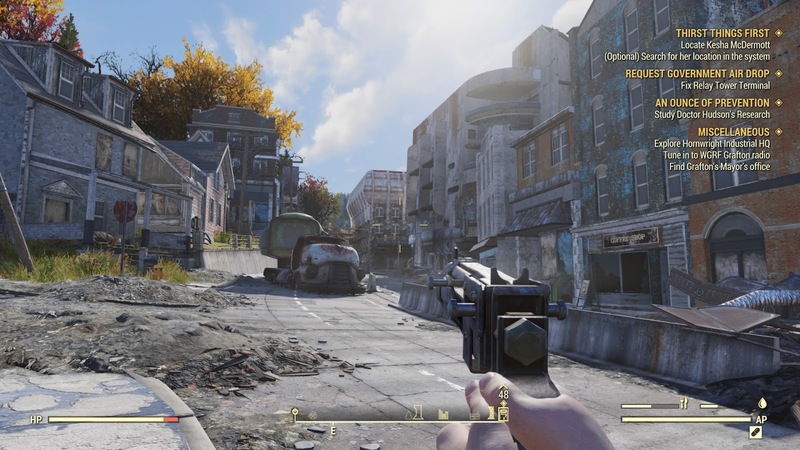 In order to pick up on the storyline, you will come across recordings which will help you understand who the NPC's that are now dead are and what they did, you get to take on the task of continuing what they were doing before they died and learn a little bit more about the game in general. What I did find annoying though is when I picked up a recording there was no way to stop it and other players on my team had to listen to it even if they had already picked it up and done that quest before so it would be nice to have an option to stop it if they have already heard it like you can in some games. 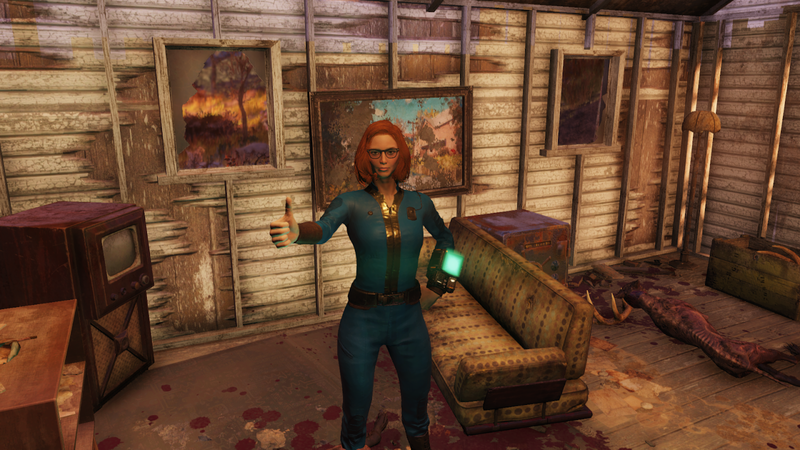 Exploring West Virginia has been great fun, it feels very isolated at times besides the monsters but it makes you see Fallout from another point of view one where you can actually talk to others experiencing what you are experiencing whilst helping one another survive the wasteland and although I only got to play for about 3 hours I had a blast. 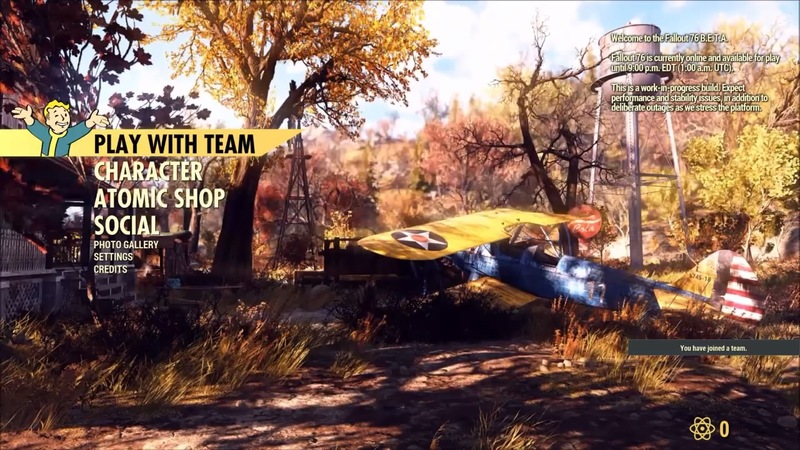 Fallout 76 is a wonderful way to find other Fallout fans and band together as a united front, hopefully, once the game is released I hope that I come across more people to befriend and play the game with.